Bridging the gap between academia and investors, Dimensional brings great academic research to life. Since our founding, we have forged lasting relationships with the best academics in the field, gaining insights and inspiration from their work. This expansive body of research is in the public domain and well known to financial professionals. What sets Dimensional apart is how we work with financial economists to interpret, test, and apply their research. 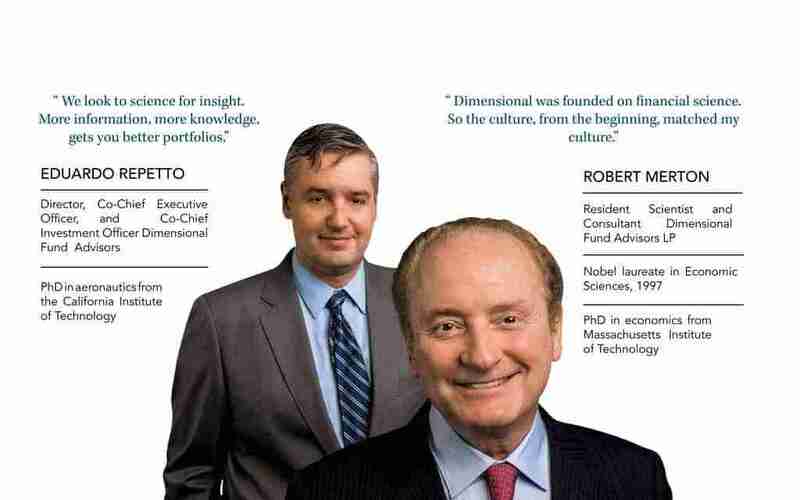 At Dimensional, our Research team bridges the gap between the published science and the real world, making the findings relevant and applicable for investors. 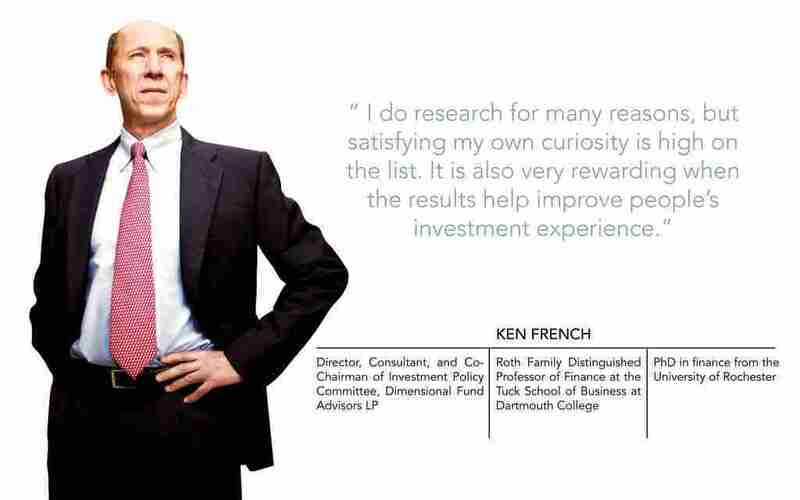 Ken French is an expert on the behavior of security prices and investment strategies. 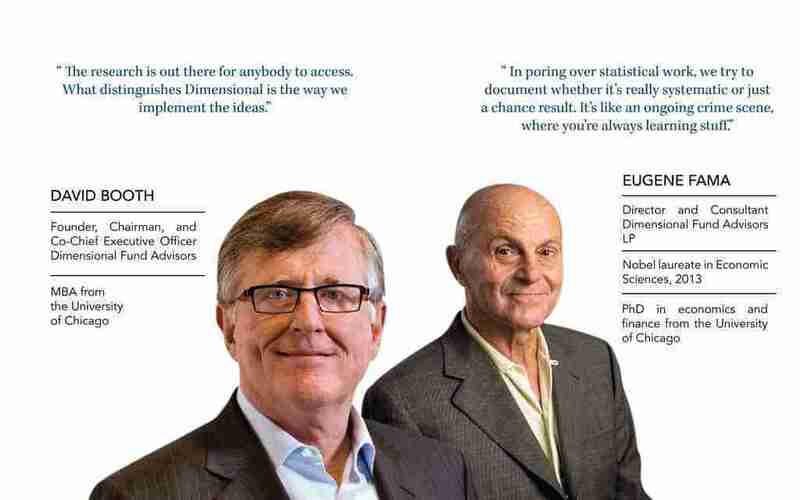 He and coauthor Eugene Fama are well known for their research into the value effect and the three-factor model. Ken started working with Dimensional in the 1980s as a consultant and then as a member of the board of directors. 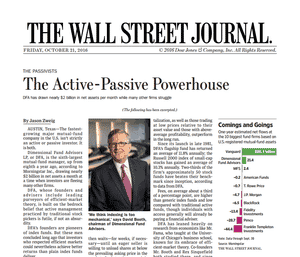 He was instrumental in leading and building out the firm’s Research team and capabilities in the early 2000s. Ken is also co-chairman of Dimensional’s Investment Research Committee and a regular speaker at conferences and seminars. We hold empirical research to a high standard. If we look hard enough we can always find patterns in historical data, so we are skeptical about patterns that don’t make sense. Once armed with a sensible story about why a variable might be related to expected returns, Research then tests the historical data to make sure the pattern is persistent across time and pervasive across markets. Dimensional is vigilant about the danger of data-mined results. Evidence replicated across sample periods, regions, and variables adds to our assurance that what we are seeing is reliable and possibly worth pursuing for our clients. Investors can have greater confidence in our strategies when they know we are targeting premiums that are sensible, have been observed using market data, and can be pursued in a diversified, cost-efficient way. Throughout this process, the Research team works directly with clients to give them a good view of what the academic literature and Dimensional’s own studies say on a particular subject. 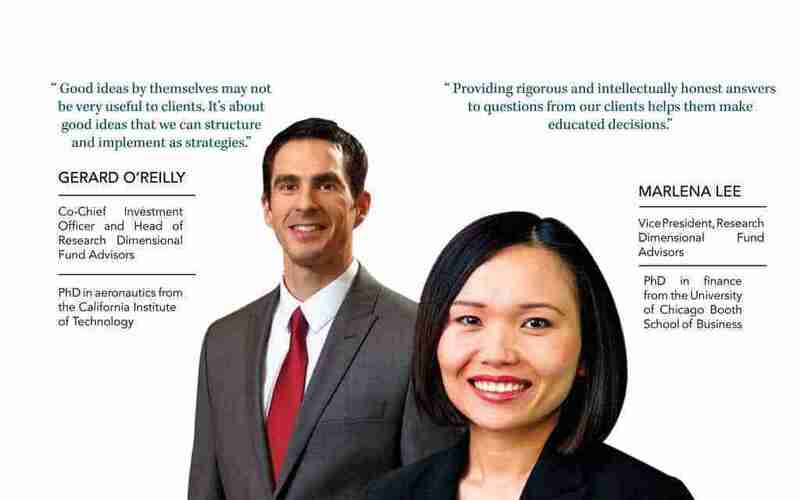 Rather than spending countless hours reviewing journals and performing their own analyses, clients can be confident they are getting thoughtful, well-documented, and intellectually honest answers from Dimensional. A key role for the Research team and our associated academics is drawing insights from empirical research while knowing the limitations of the data and considering the conditions one may face when putting it to work in complex markets. Academic studies may suggest a premium exists. In reality, pursuing that premium may require costly trading, and the premium may be limited to a small corner of the market. Past data does not reflect the possible impact of future actions, so being mindful of the dynamic nature of markets is critical to implementation. Research consults daily with our investment team of portfolio managers and traders to better understand the tradeoffs among costs, diversification, and exposure to the dimensions of expected returns. These practical considerations are paramount when we develop new strategies and enhance existing ones. In this capacity, Research uses academic literature, hands-on experience, and client knowledge to build and improve investment solutions. Clients often drive ideas for new strategies. Research interacts directly with clients to understand what is most important to them. From there, Research helps determine if Dimensional can engineer a solution that meets investor needs and can add value, over what is already available in the industry. These criteria are critical to moving an idea forward. For example, more than a decade ago several clients were interested in consolidating many portfolios across numerous managers into a more efficient strategy— a valuable proposition not present in the marketplace. 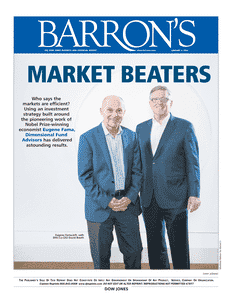 Partnering with academics, Research went to work and created the core equity strategies, bringing multiple equity dimensions into a single portfolio for better risk management, more diversification, less turnover, and lower implementation costs. 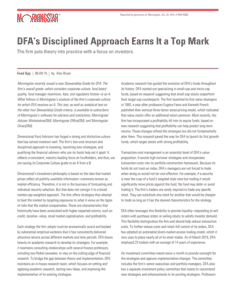 These total market strategies were then offered globally, providing clients around the world with all-cap equity solutions focused on the dimensions of higher expected returns. Expertise outside of what is learned from academic papers is required to manage money efficiently. With holdings in more than 350,000 positions across client accounts, Dimensional gets pricing on nearly 500,000 equity and fixed income securities every day. Analyzing that information requires integrating diverse sets of portfolio holdings with security reference data. The Research team assembles and oversees this data and designs tools that help our investment team make day-to-day decisions and explain the results of those decisions to clients. 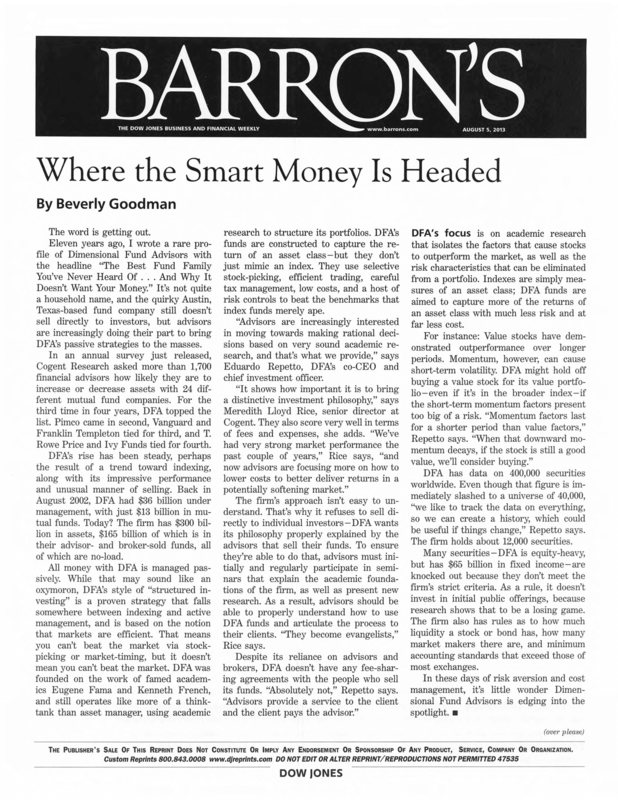 Some of these tools use real-time information about the potential securities for a particular strategy, then create lists of potential buy and sell orders to help portfolio managers and traders invest our clients’ money. Other tools create reports, including performance attributions and portfolio analysis, to help clients understand their investments. To ensure that data is of the highest quality, Research oversees a robust set of systems that check and clean information, then makes it available to support the implementation and analysis of strategies. Dimensional’s founding principle is to provide investors with solutions based on a scientific methodology. Our culture is one of continual learning. It’s in our DNA. We do not simply implement models in a mechanical fashion. We ask questions, run experiments, and use the results of those experiments to improve our knowledge of how markets work across all areas of the investment process. We are not just looking for answers—we are looking for deeper understanding. Dimensional’s Research team embodies this scientific spirit. 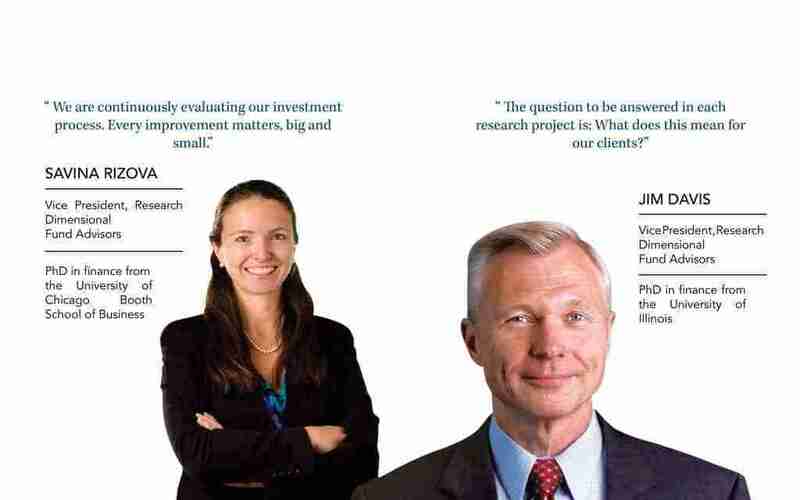 Each member is committed to understanding what drives returns, applying research across all aspects of our process, and maintaining strong connections with the world’s leading economists. The intellectual curiosity and rigor of our academic origins helps our Research team bring the latest advancements in financial science to life for our clients.